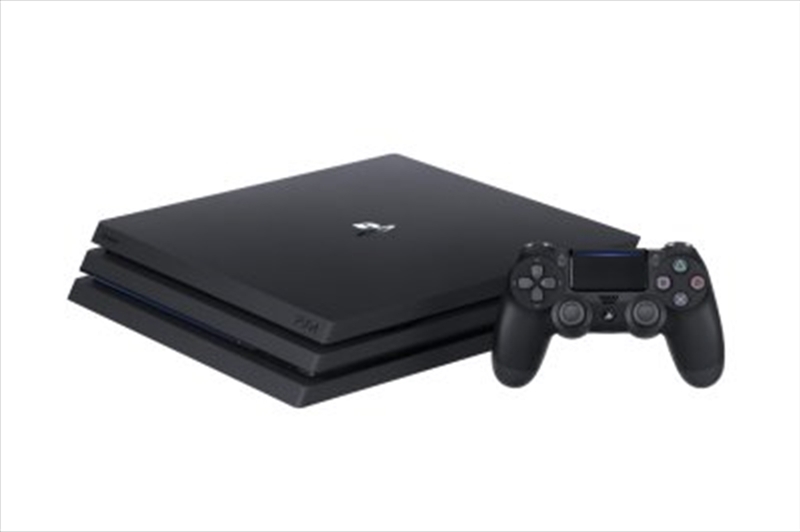 PlayStation4 Pro is a high-spec console that delivers the ultimate gaming and entertainment experience with spectacular graphics and unrivalled power. Spectacular graphics - if you own a 4K TV, get ready for higher quality visuals, including resolutions of up to 4K. No 4K TV? You can still enjoy gameplay and frame rate enhancements on your standard HD TV with PS4 Pro. Ultimate performance - PS4 Pro packs more than double the GPU power of a standard console and a beefed-up CPU to give you an incredible combination of graphical prowess and processing muscle. Extraordinary entertainment - watch video streaming services in amazing 4K. Check out the Netflix app which allows you to stream 4K movies and shows like Narcos and Luke Cage. There's also a 4K compatible YouTube app coming soon to PS4 Pro. Enhanced gameplay - enjoy fast, more stable frame rates for smooth, super-sharp on-screen action. Ultimate Share Play and Remote Play - share or stream your games in stunning detail with visuals of up to 1080p and 60fps. More connections - choose between 2.4GHz and 5GHz Wi-Fi modes and output to your TV via HDMI 2.0. There's also an extra USB 3.0 port. High Dynamic Range (HDR) - this advanced new technology means visuals are more realistic, vivid and truer to what the human eye sees in the real world. Outputted by graphic rendering or upscaled. When compared to previous PS4 model. Not supported by all video services available for PS4. Not supported by all software titles. HDR TV plus game or video streaming service with HDR support required. PS4 Pro packs in leading-edge technology to deliver fast, sharp and responsive gaming experiences. With a 4K TV, PS4 games deliver unprecedented visual precision, such as 4K quality resolution to give remarkable clarity down to the tiniest detail. Alongside stunningly vibrant HDR colours, your adventures will burst into life with unbelievable vibrancy. Stream the biggest movies, hottest TV shows and latest videos in up to stunning 4K resolution from Netflix, YouTube and a host of entertainment apps coming soon - all with auto-upscaling for the sharpest picture possible. Seamlessly connect and share to your gaming worlds.